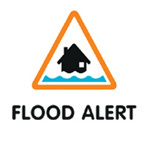 In the event of water coming into your property, you MUST treat this as an emergency and ring 999. 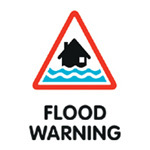 The Environment Agency operates a flood warning service. 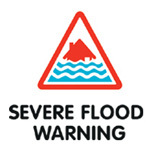 If flooding is forecast, warnings are issued using a set of easily recognisable codes. Each of the codes indicates the level of danger associated with the warning. There is also a free subscription service available which is available at www.metoffice.gov.uk.